Apple today announced a new generation of iPod Touch at an event in San Francisco, USA. The new iPod Touch 4th generation is coming with several hardware features of iPhone 4. The most important addition The Apple iPod Touch 4G is the inclusion Apple A4 chip that is already a part of iPhone 4 and the iPad. It also includes a Facetime front camera and a back camera with HD video recording. The iPod Touch 4th generation comes with the same high definition retina display in iPhone 4. Apple iPod Touch 4G is thinner than the third generation iPod Touch and will have better battery life. It will be shipped with upcoming iOS 4.1 version, which has the Game Center app in it. Apple iPod Touch is currently the most popular portable music player in the world. Apple hope to gain a better market share for the product through the launch of iPod Touch 4G. The new iPod Touch 4th generation will be a complete gaming device with advanced A4 chip, accelerometer sensor, graphics processor, Game Center and the 3-axis gyro. The Game Center in iOS 4.1 is a special application that let users to play a game online with other iPhone and iPod users. The brilliant 960*640 LCD backlit display with the capacitive touch comes with 326 pixels per inch. Thus the display improves the clarity and definition of text, movies and photos. Users will be able to watch the very minute details of all media types with this advanced retina display in iPod Touch 4G. The front camera can be used to make Facetime calls to other users with iPhone 4 or iPod Touch 4G using WiFi. There is a back camera with the ability for 720p HD video recording. The battery in iPod Touch 4th generation will provide up-to 40 hours of music playback and seven hours of HD video. The model is much thinner than the older versions. Overall the fourth generation of iPod Touch can be called as an iPhone 4 without the phone. Apple will start shipping iPod Touch 4th generation from the next week onwards. The recommended market price of iPod Touch 4G 8GB, 36GB and 64 GB is $229, $299 and $399 respectively. 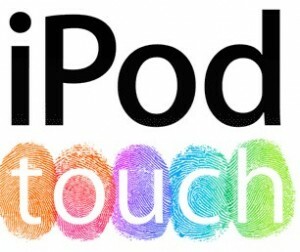 We can expect iPod Touch 4th generation in India by the end of this month September 2010. You have done better all the time, but I know that the best is yet to come. There are endless latest rich features out here for any device. Your Ipod touch 4 would have been a buy of a lifetime if there was cam 12mp with led flash. A completely loaded mini tab. Brilliant. You could have done that, beyond expectation. What stops you on this. You are the creator and why not? Steve Jobs could have loaded an iPhone/iPod touch with a 12mp camera and lots of other features. But there’s a thing called marketing. If Apple develops an iPod touch a buy of a lifetime, why would one buy another iPod touch next year? Everybody buys it now itself and there wouldn’t be any sales for it from next year. I HAVE 32 GB MODEL SEAL PACKED SELLING FOR 17000 rs…. GOT IT FROM US….PRICE IS LITTLE FLEXIBLE .. JUST CALL WITH UR ESTIMATE,, dont hesitate to call..
well I would’ve loved to call you regarding this…only if you would’ve given your contact number or any other means to contact you. hello, im looking to buy an ipod touch 4 [8gb] . please let me know the true price, i am living at pondicherry in India. i live in east dekhi,if u feel lyk discussin it,here’s my contact. hey i got i pod from ma uncle livin n london im njoying it` bt i feel vry tough 2 load sngs`!! !